This sterling silver ring has a chunky shank and a forget-me-not flower that is covered with a beautiful rose gold plating. 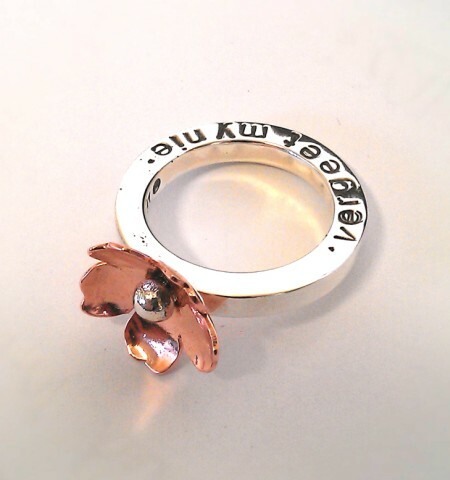 The side of the ring can be stamped with a special message/phrase. (Pictured here, the phrase 'forget-me-not' is stamped in Afrikaans - 'vergeet my nie'). Notify me when Chunky Forget-Me-Not Ring is available.